Facebook is harnessing the power of its massive user base to compete with Periscope's live video streaming. Did you think the biggest social network on the planet was just going to sit idly by while the likes of Meerkat and Periscope find success in live, social video? Facebook won’t stand for it. So it’s launching its own contribution to the live streaming mix, but the catch is only cool people can use it. 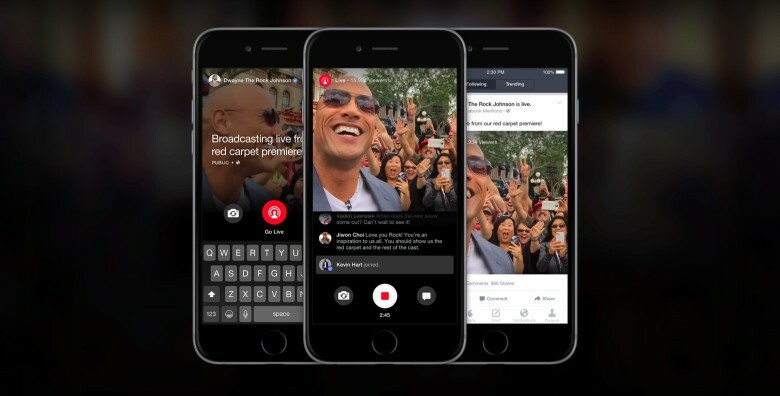 Facebook is building live streaming video right into Mentions, an iPhone app for people with verified Facebook Pages to help connect with their audience. That means if you want to post a live streaming video to Facebook, you must be a public figure or brand with a verified Page using the Mentions app. The videos will post to the News Feed, where fans of that Page can watch and interact with comments. Once the broadcast is done, it saves as a regular video to the Page for newcomers to watch and share later on. This is unique to Facebook – Periscope and Meerkat’s videos don’t save permanently for re-watching. Creators have the option to the delete their recorded videos on Facebook, too. It seems Facebook noticed how Periscope was able to harness star power from the likes of Ellen DeGeneres to boost its popularity pretty quickly. Facebook’s biggest advantages are more stars and far more users, which makes the platform better for promotion. It doesn’t seem like a huge stretch for Facebook to eventually turn on live streaming for every user, but for now it’s sensible to kickstart the new feature with a few celebrity endorsements. In its blog post, Facebook mentioned live broadcasts are coming soon from Luke Bryan, Ashley Tisdale, Martha Stewart, Michael Bublé and more.